There was a lot of action in the Iowa wrestling room for wrestle-offs on Thursday and Friday. Now that the dust has cleared, I want to take a look at each weight. There is an added excitement for Iowa Wrestling fans because this is competition week as the Hawks open the season on Friday. The crowd for both days of wrestle-offs was amazing. 3:30 on a Thursday and Friday afternoon and the Iowa wrestling room was packed. You had parents driving hundreds of miles and fans taking off work to get there in time to see it all. To see more fans at an Iowa wrestle-off than quite a few Division I college teams get for a home dual meet is impressive. 125 – As I have mentioned in blogs and podcasts in the past, Spencer Lee is… Spencer Lee. Lee looked dominate in pinning Aaron Cashman. I was impressed with Aaron Cashman as well. The best flurry of the two days of matches was when Cashman got in deep on a shot and Lee fought it off for no points scored. Cashman is very quick and I look forward to seeing how he develops as a Hawkeye. 133 – I picked Austin DeSanto to win the wrestle-off over Paul Glynn and that Glynn would be a tough matchup. I was right. DeSanto won two hard fought matches over Glynn, 5-3 and 6-3. I am excited about what DeSanto can do for the Hawks and I am a fan of tough, hard nosed wrestlers like Glynn. 141 – In the most anticipated wrestle-off, redshirt freshman Max Murin defeated returning starter Vince Turk, 5-4. Iowa has some real depth at 141 as Murin won a close 3-1 decision over Carter Happel and Turk won a close 6-3 match over Justin Stickley in the semifinals. I can only speculate that this weight is far from being decided, but Murin is definitely in the lead. I would say there is a good chance that Murin, Turk and Happel are once again at Midlands at the end of December. Whoever places the highest at Midlands should have a real good shot of being the starter when Iowa hits the Big Tens in March. 149 – Patricio Lugo was impressive in getting a 14-3 major decision and a :36 fall over Zach Axmear. I am really looking for big things from Lugo this season. I think this guy has another gear of toughness that will come through at tournament time in March. 157 – In the second most anticipated weight for wrestle-offs, Kaleb Young came out on top of a very tough and deep weight. In the semifinals, Young won a 14-3 major decision over Jeremiah Moody. Moody won a UWW Junior National title and captured a Gold at the Pan American Championships this summer. In the finals, Young scored a takedown in overtime to defeat Jeren Glosser, 3-1, SV1. Just as with 141, there will be a lot more wrestling to be done before Iowa knows who will step on the mat at Big Tens because Glosser is that tough. Midlands will more than likely again provide more answers for 157. 165 – Alex Marinelli defeated Nelson Brands in the finals, 6-3. Brands has really impressed me so far this fall and he has a great future ahead of him as an Iowa Hawkeye. I am looking for a huge year out of Marinelli at 165. 174 – Michael Kemerer did not compete at 174 at wrestle-offs. I am confident that Kemerer will be ready to go this weekend. 184 – Another very good deep weight as two defending starters battled. Cash Wilcke, an NCAA Qualifier the last two years at 197, defeated last year’s starter at 184 Mitch Bowman, 9-5. 184 is a deep weight for Iowa that also includes Myles Wilson. 197 – Jacob Warner scored a 10-1 major decision over Connor Corbin to win the varsity spot. I know that my opinion of Warner is much higher that he is ranked nationally right now. The early competition is the toughest on the team so we will know quite a bit more about Warner very soon. Hwt – Sam Stoll did not compete at wrestle offs. True freshman Anthony Cassioppi defeated redshirt freshman Aaron Costello 2-0 on an escape and riding time point. Yet another weight that Iowa has very good depth at. Another perk for wrestle-offs is that I was able to hear what official Rick Stahl was saying to the wrestlers. That type of closed in environment was a great learning opportunity for me to try and learn the new rules. I spoke with Rick about a few of the new rules after the wrestling. There are rules changes from last year that I am still catching up on. It will be interesting to see how college wrestling will adapt to the new rules this season. What a great crowd to be apart of as a fan and we were all treated to some very good wrestling. Some fans were concerned about some of the low scores or tight matches. My response to that is two things. One is that these guys have wrestled each other so many times that they know each other inside and out technically to know what is coming. Also, the Iowa Wrestling room is absolutely loaded with talented and tough wrestlers. As I keep mentioning, it is the depth of tough and talented wrestlers that will lead a program. I also need to mention how so many Iowa wrestlers looked bigger and stronger than last year. The entire program had their weight down and as a program Iowa Wrestling looks noticeably stronger than last year. Strength is in my opinion overlooked by too many people. Strength is never overlooked by me. 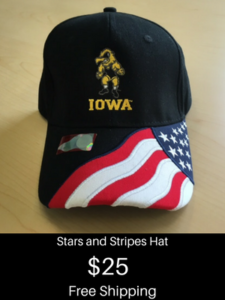 I like what I am seeing with Iowa putting a wrestler on the mat that looks bigger and stronger than their opponent, because they are. I really, really like that. A championship team in any sport needs depth. 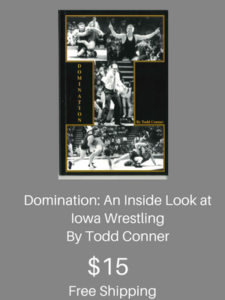 Iowa Wrestling has the best depth in the Tom Brands era and the best I have seen since the Gable era. As the former Coach of Drexel, I was a bit surprised that Austin DeSanto won the 133 pound spot for the Hawkeyes. Not because he is lacking in talent, as he has motor that will not quit, but because, after watching him last year in duals, at the EIWA’s and the NCAA’s, he needed WORK on top and bottom, and DISCIPLINE. I look forward to seeing the Hawks in action this year – ‘GOOD LUCK’Hawks! !